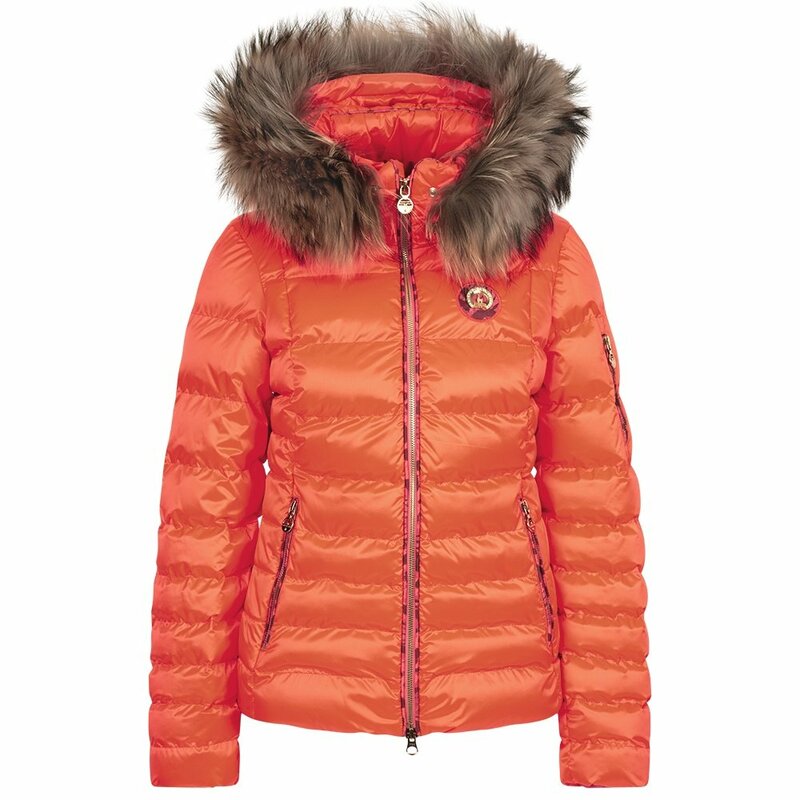 Make a bold and fun statement with the Sportalm Kyla RR Neon Down Ski Jacket with Real Fur. This attention-grabbing women’s ski jacket has mid-level waterproofing and breathability ratings to make sure you stay dry on the slopes even if an unexpected snow shower moves in. In addition to front hand pockets, a season pass pocket and inner pockets provide space for everything from an extra goggle lens to a facemask or energy bar. The Sportalm Kyla RR Neon Down Ski Jacket also features a hood and paired real fur detail, both of which can be removed for various alternate looks.